Arielle T. Miliambro, Esq. is an Associate in the Healthcare Department with a focus on regulatory and transactional law. Arielle advises providers, pharmacies, and healthcare technology companies on regulatory matters related to HIPAA and HITECH, telemedicine, cybersecurity, and fraud, waste and abuse compliance. Arielle also counsels clients in connection with corporate transactional matters including employment, management and professional service relationships. 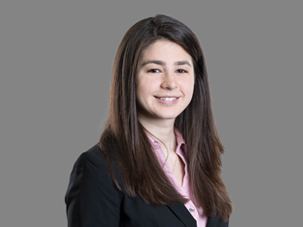 Additionally, Arielle represents healthcare providers and entities in licensing board disciplinary matters and payor audits.